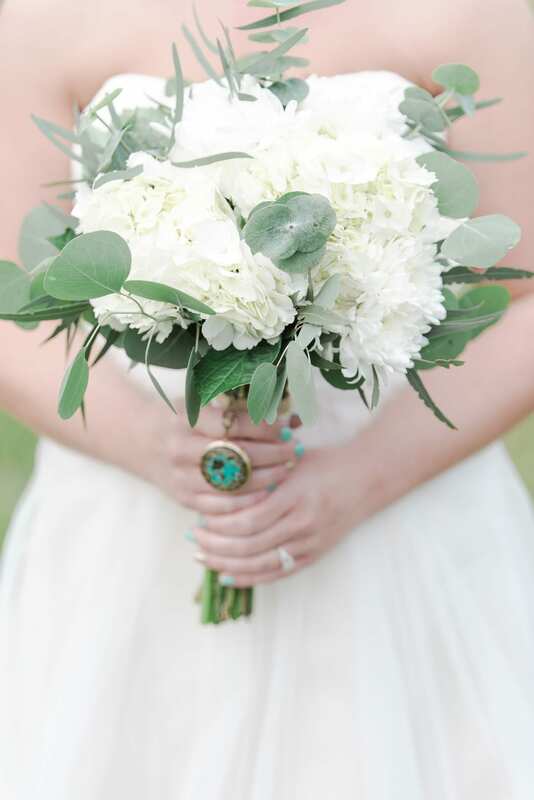 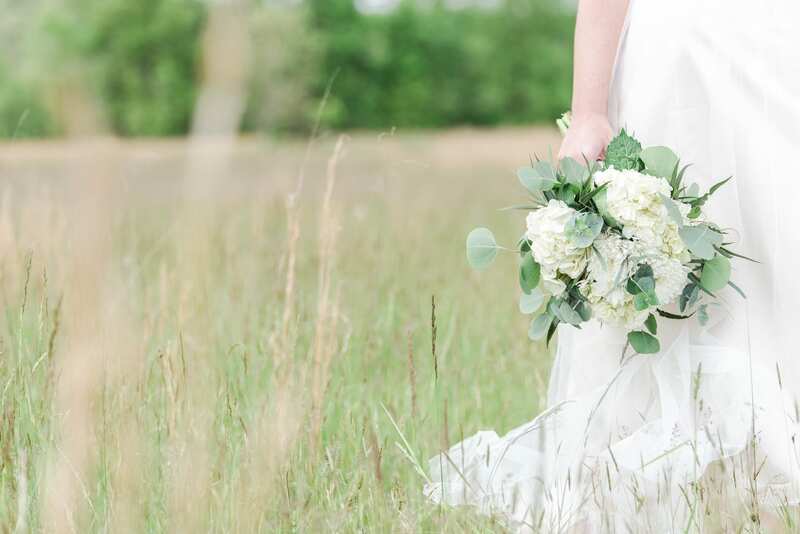 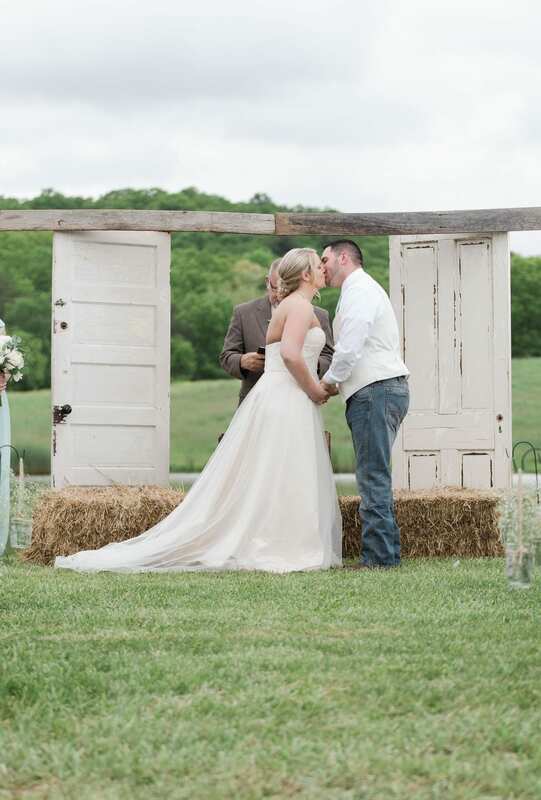 Danielle and Byran’s wedding was both intimate and rustic is every sense. 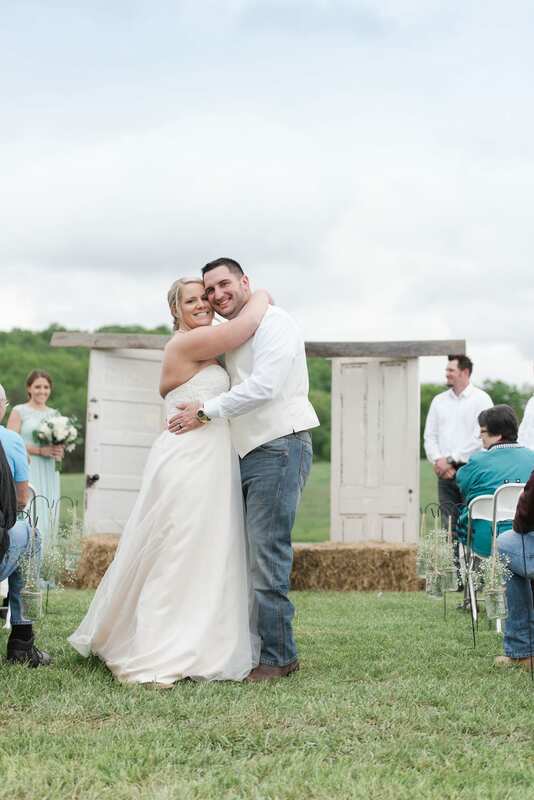 An outdoor ceremony overlooking a pond, followed by a tent reception was simple but personal in every way to make this day one for loved ones to remember. 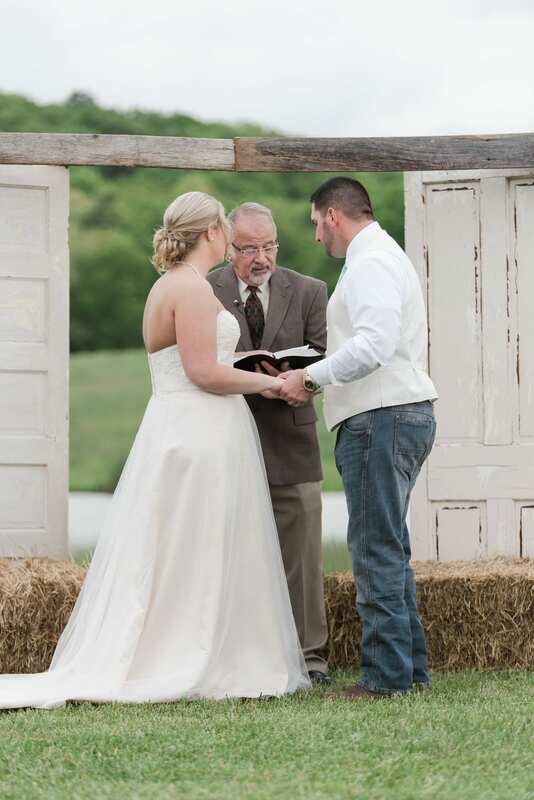 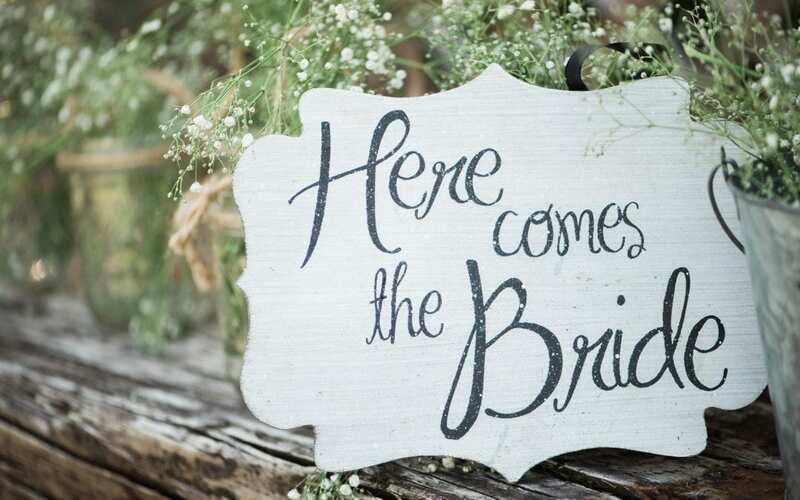 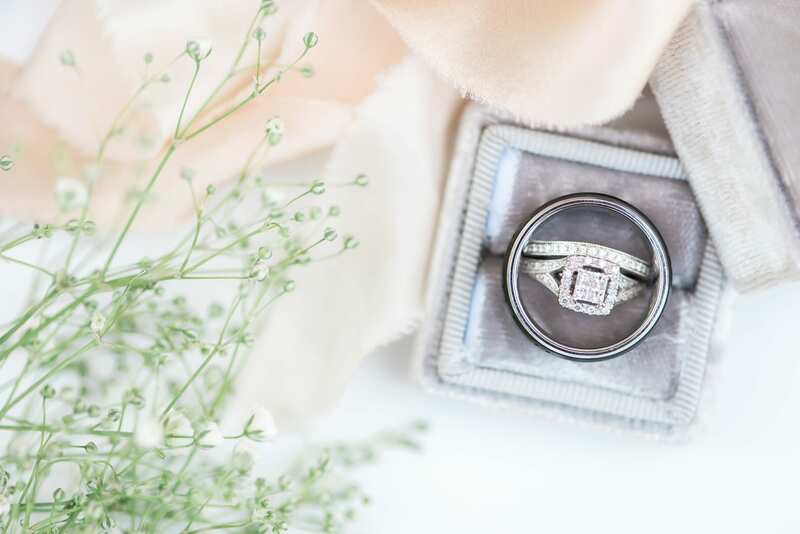 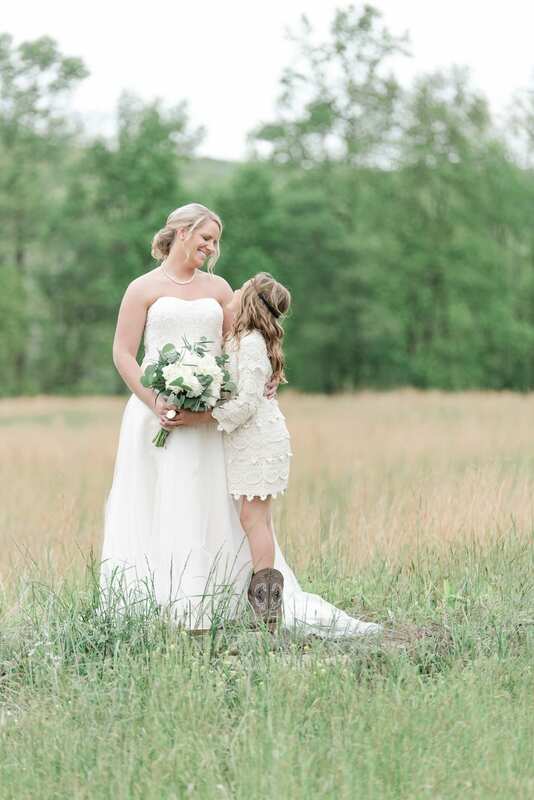 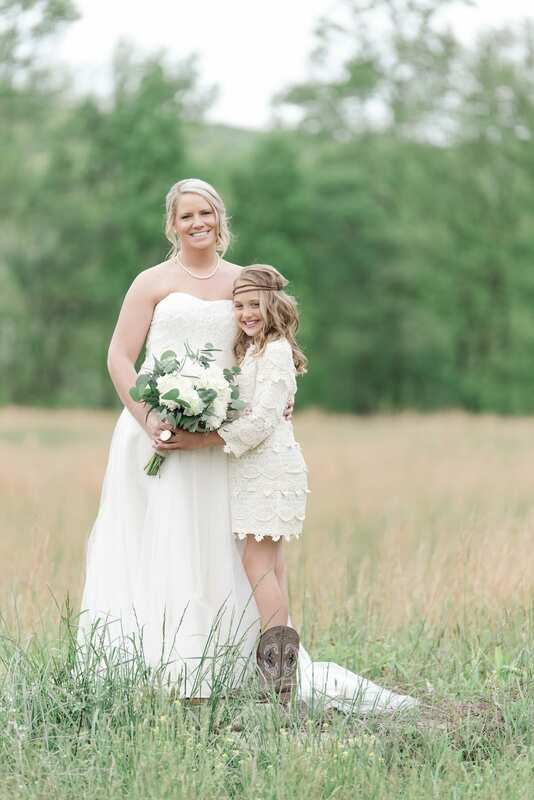 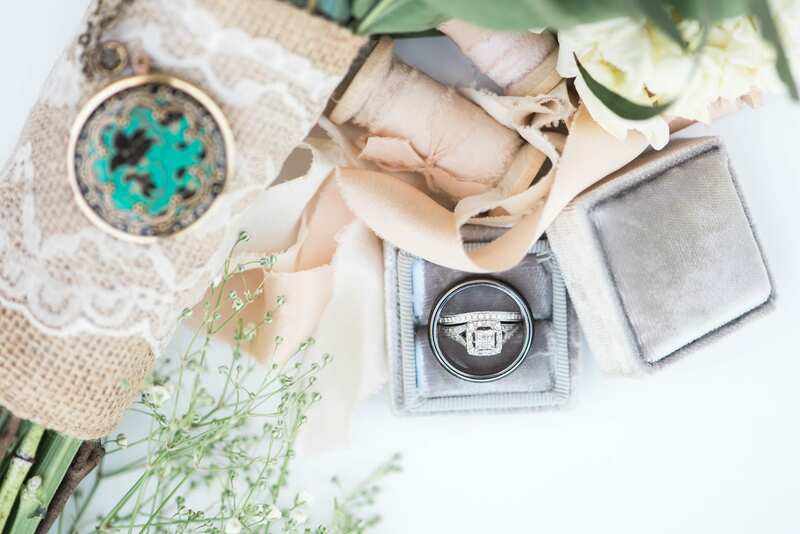 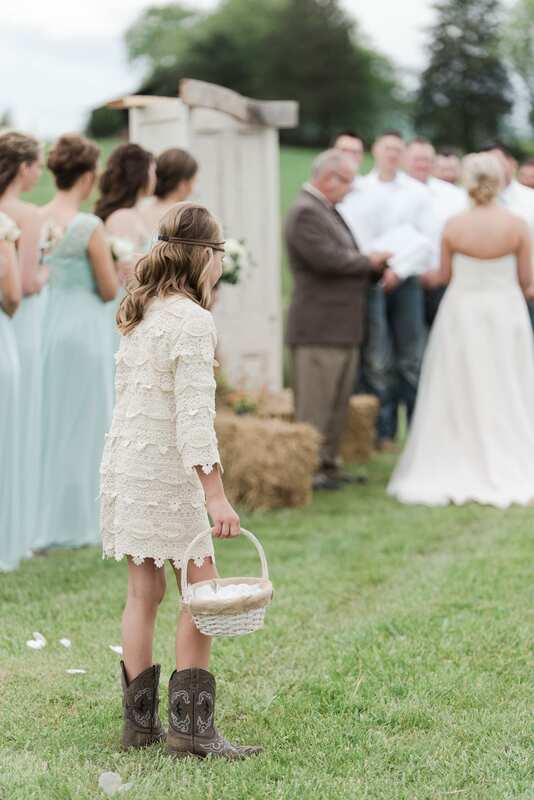 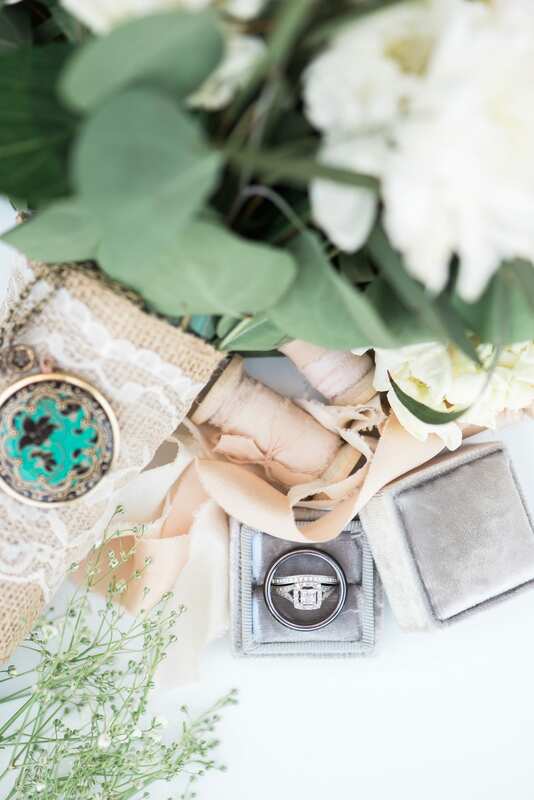 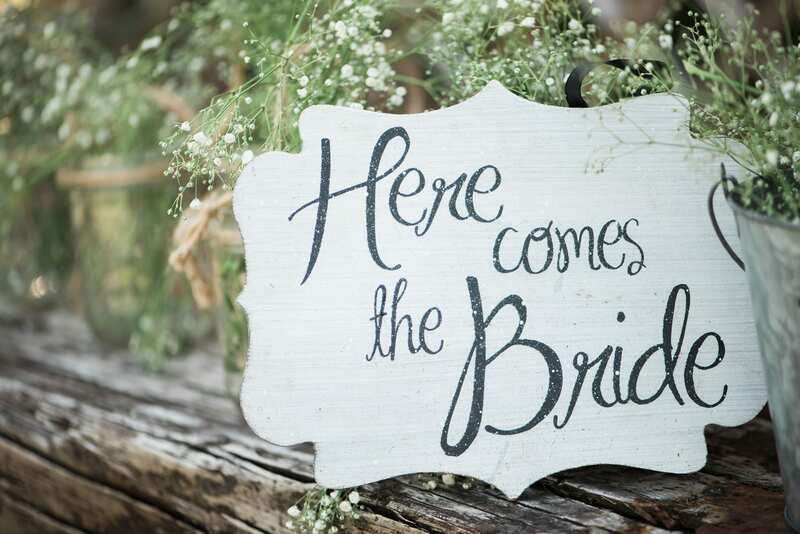 Britani Edwards Photography did an exceptional job of capturing signature moments: Danielle being embraced pre-ceremony, by her father; the newly wed couple kissing beside the pond; and the entire bridal party on a bridge above the Cacapon River. 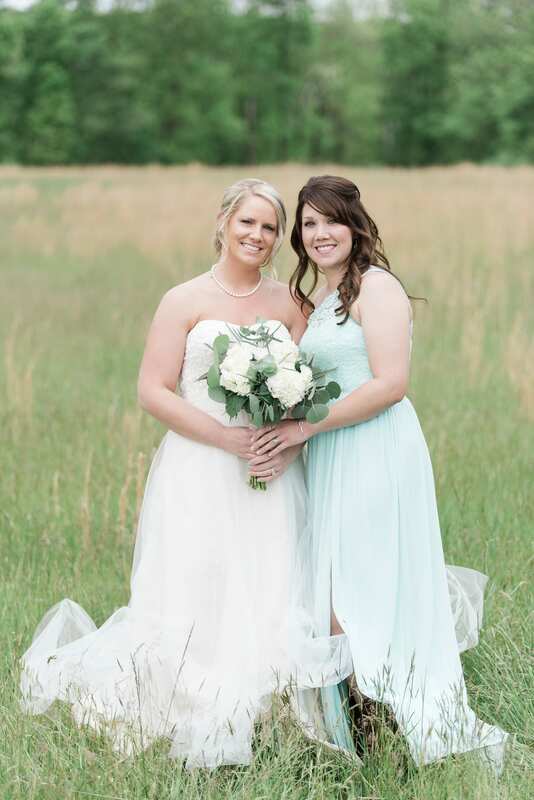 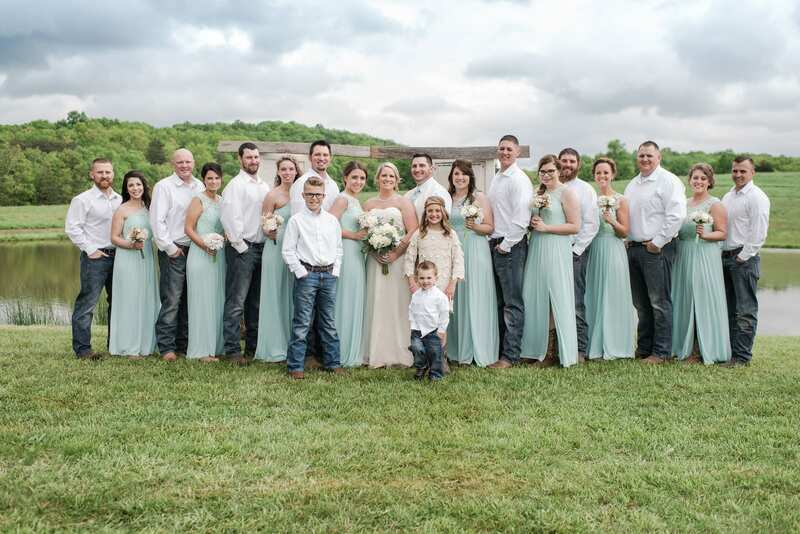 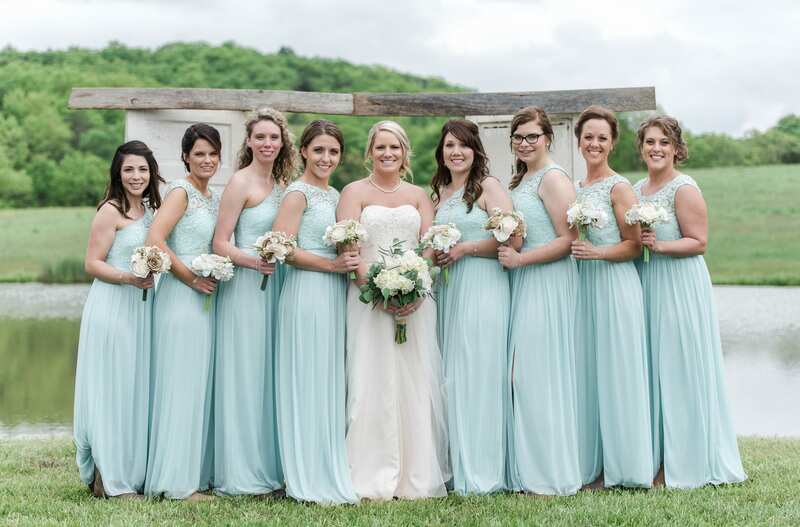 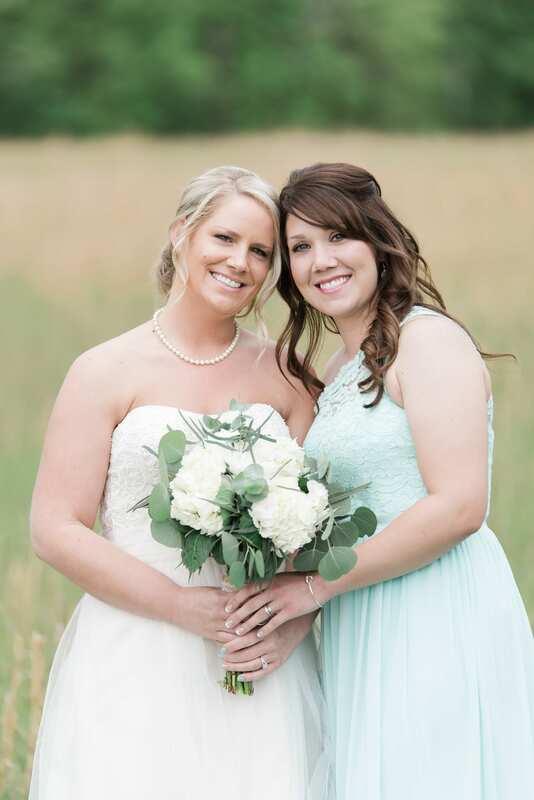 Floor length mint green bridesmaid dresses featured an one-shoulder halter top and a thigh slit to show off polished cowboy boots. 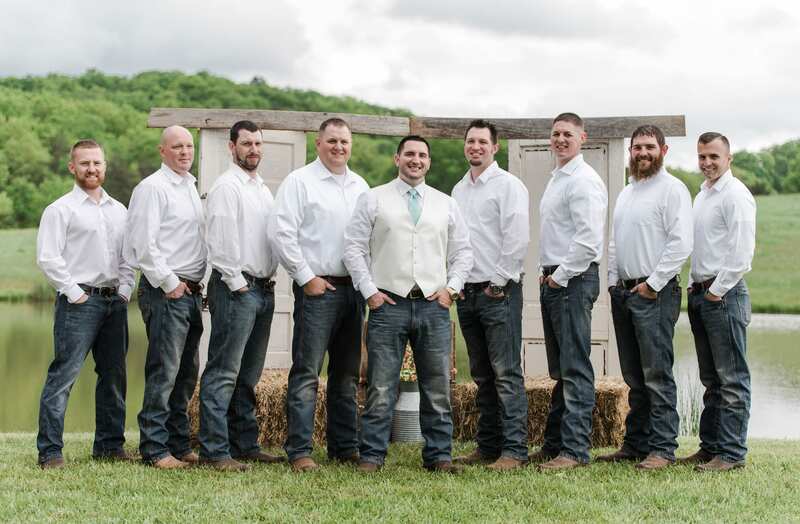 The groom and groomsmen wore fitted white dress shirts, but relaxed jeans for a more casual aesthetic. 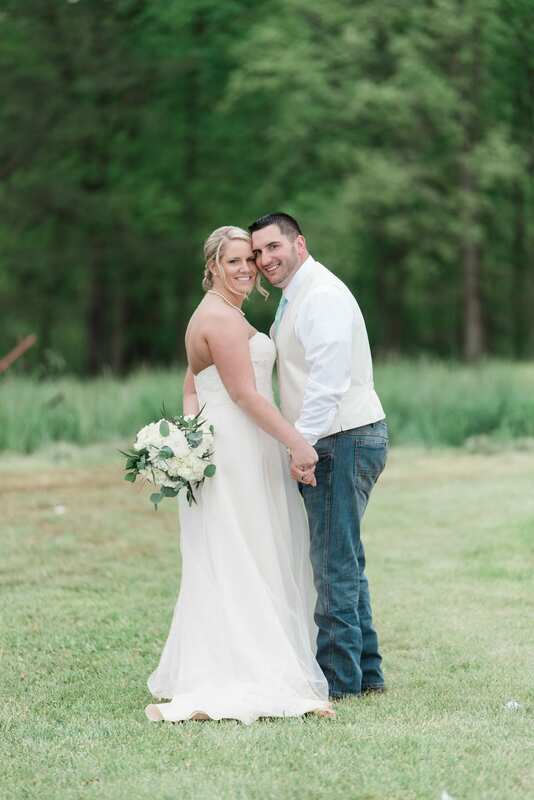 Danielle’s wedding dress was a perfect balance between formal and casual. 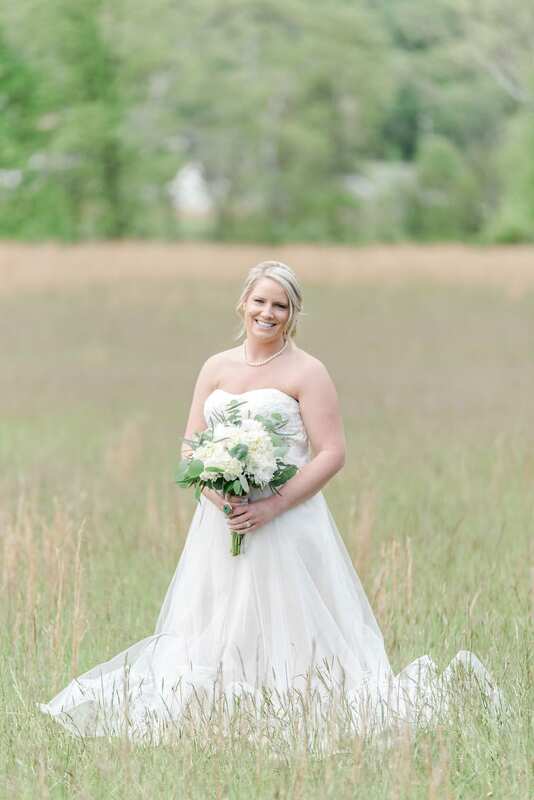 Her simple soft sweetheart neckline dress featured an A-line ivory chiffon skirt, and just a touch of light detailing along the bodice. 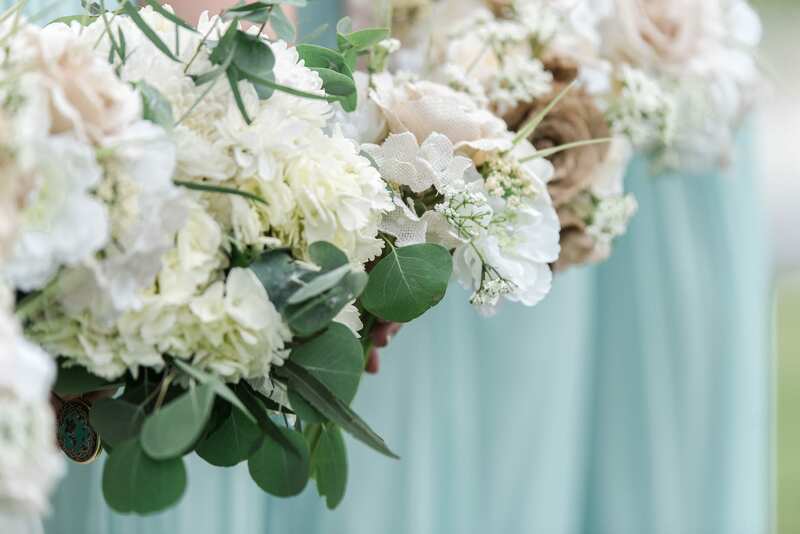 Guests capped off the day with ivory and mint green cupcakes at metal fold up tables featuring canvas flower centerpieces.